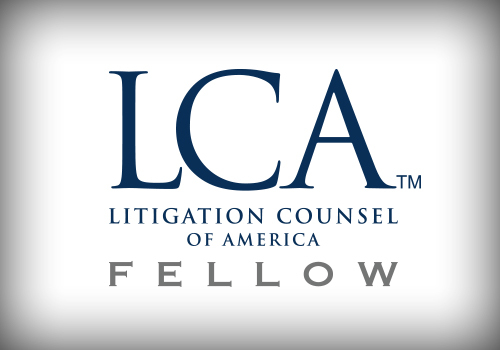 (Herndon, VA) October 24, 2017 —- Attorney Eric A. Welter, of Welter Law Firm, P.C., has been selected as a Fellow of the Litigation Counsel of America. Welter is the founder and president of Welter Law Firm. He is an experienced trial lawyer who has represented national corporations in complex litigation, including class actions, involving a wide range of employment law, public accommodation and business issues. His practice focuses on employment law and litigation of employment-related disputes, with a particular focus on high-stakes or complex multi-plaintiff cases. Welter Law Firm, P.C. is a national employment law and litigation firm headquartered in Herndon, VA within the greater Washington, D.C. region, with regional offices in Austin, TX and Los Angeles/Glendale, CA. Serving national and regional clients, the firm’s practice includes employment law, affirmative action and OFCCP compliance, complex litigation and class actions.